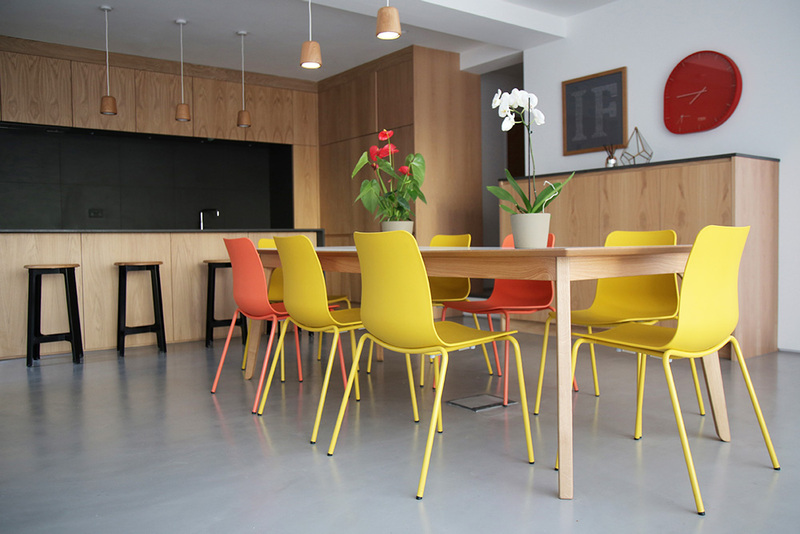 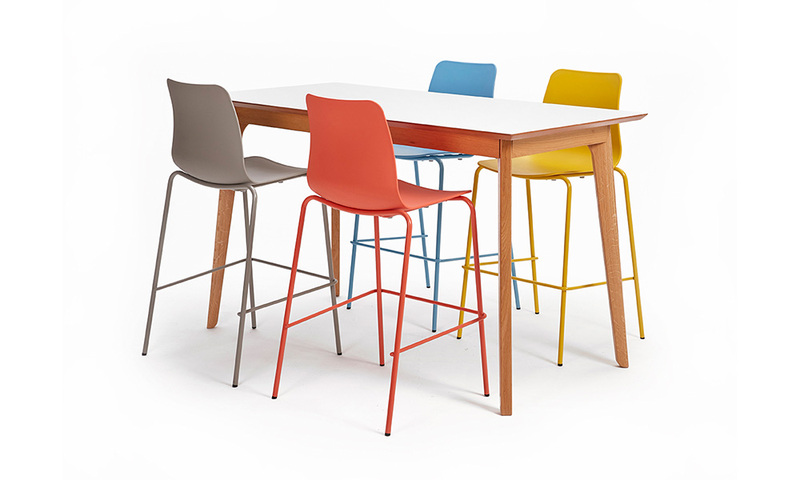 Polly chair comes with the options of a 4 leg base or a sled base, or Polly Barstool. 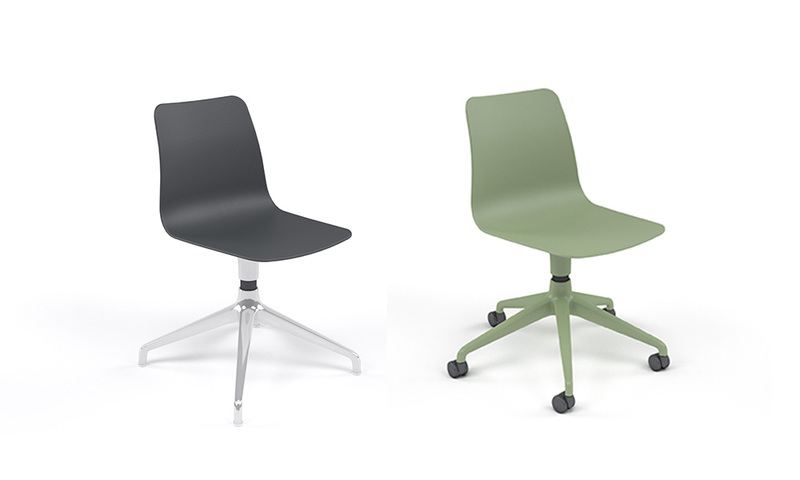 The legs can be finished in Black, White or chrome, as well as a selection of Naughtone RAL colours. 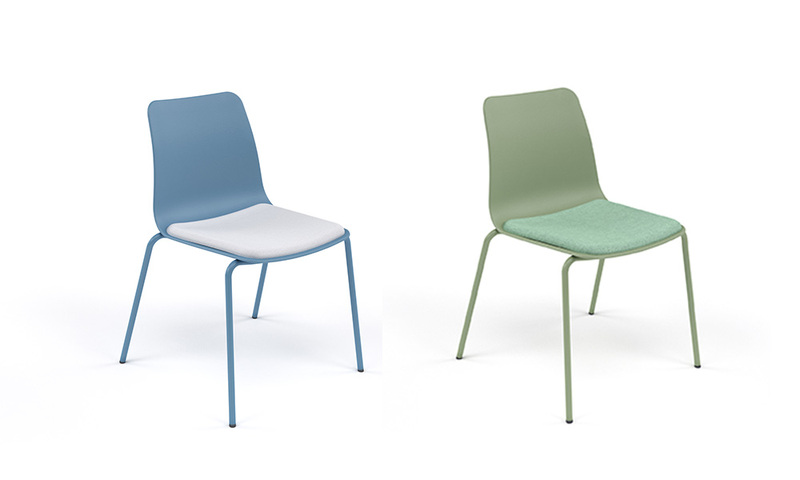 Colours available are: Black, Stone Grey, Salmon Pink, Yellow, Pastel Blue, and White. 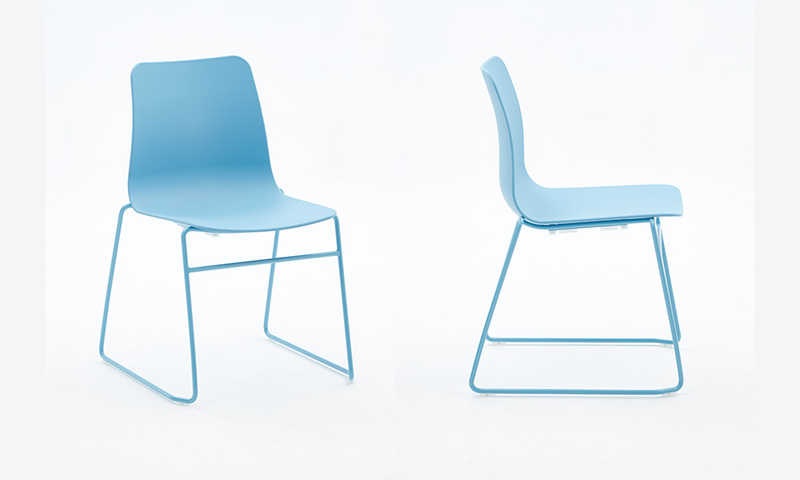 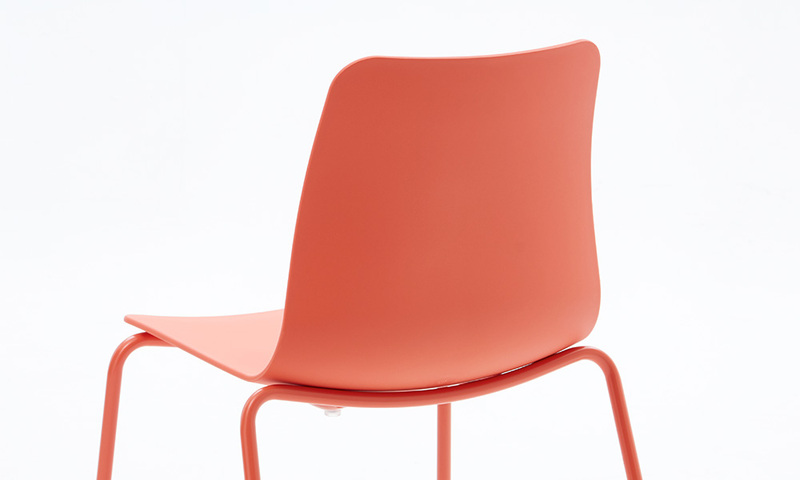 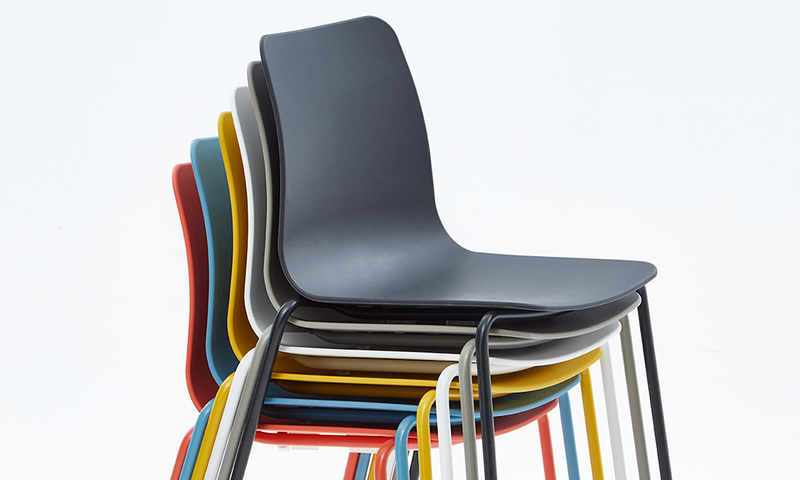 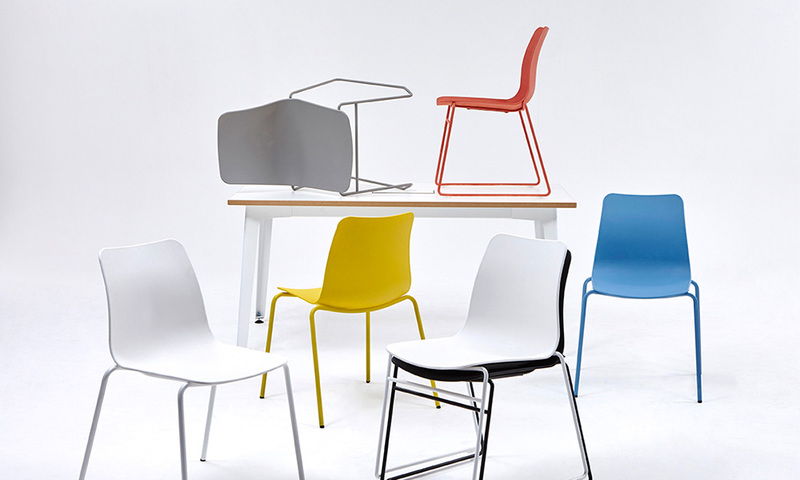 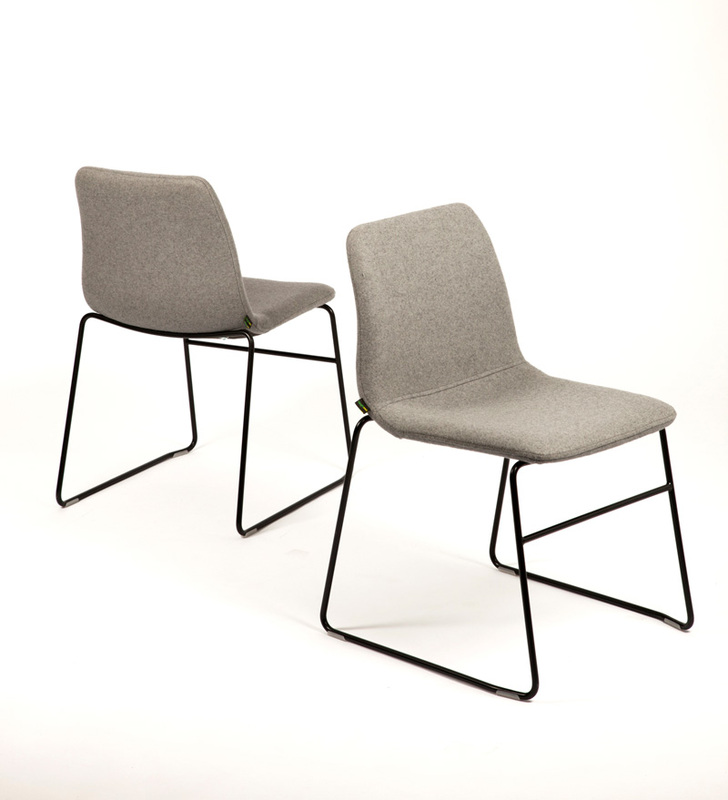 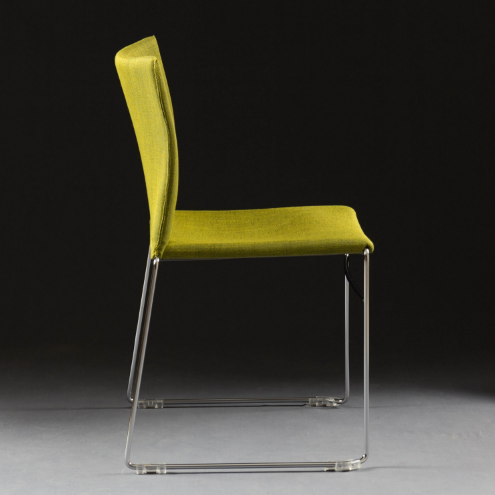 Polly is moulded in the UK using 100% recyclable glass re-enforced polypropylene. 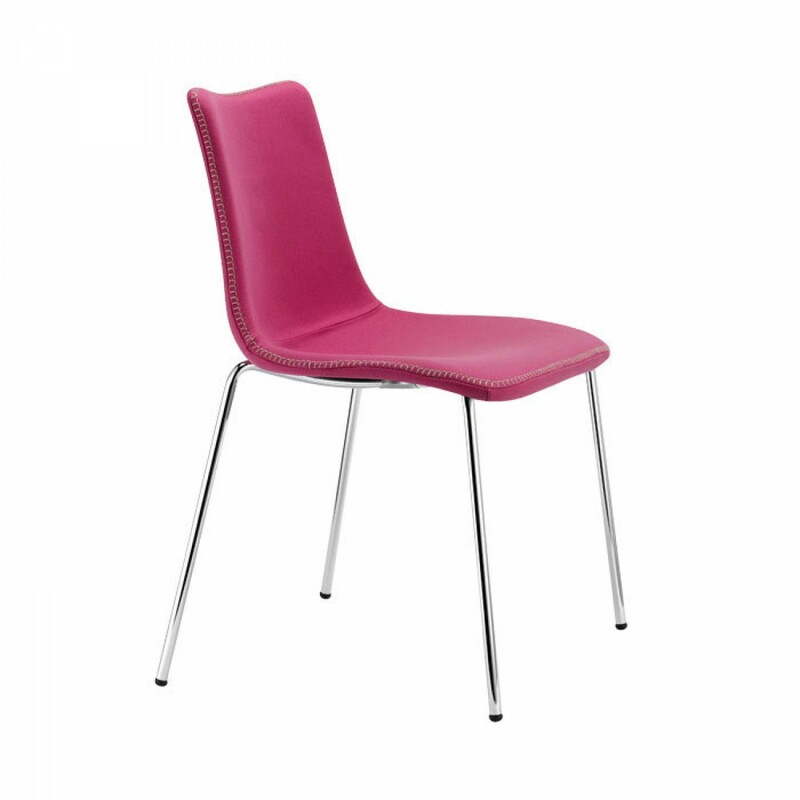 Polly is available in 6 standard colours. 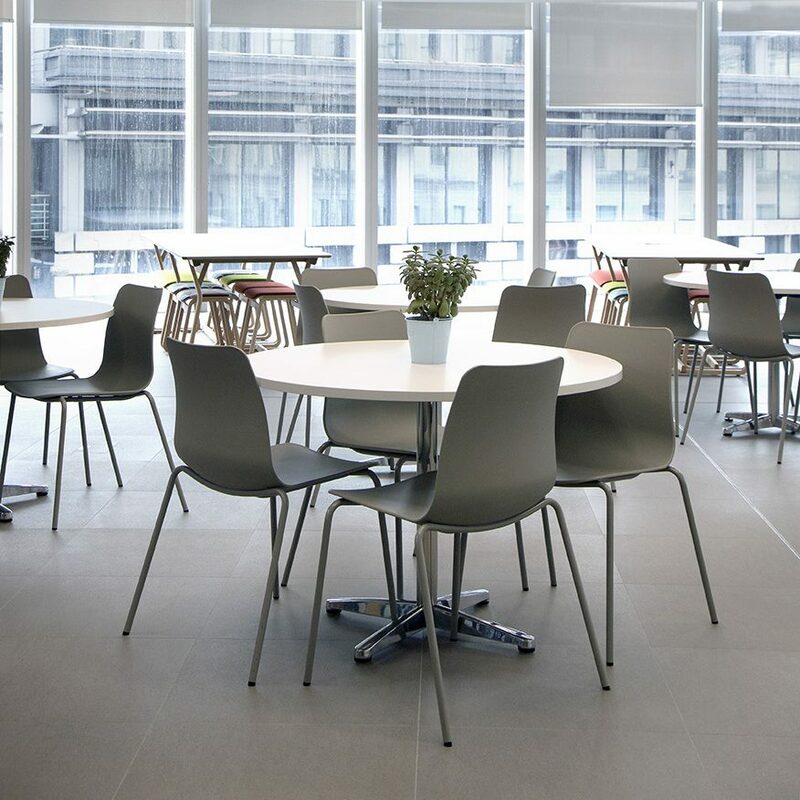 The 2 base options are manufactured using tubular or solid bar steel and are finished with a hard wearing powder-coat (paint) or chrome.